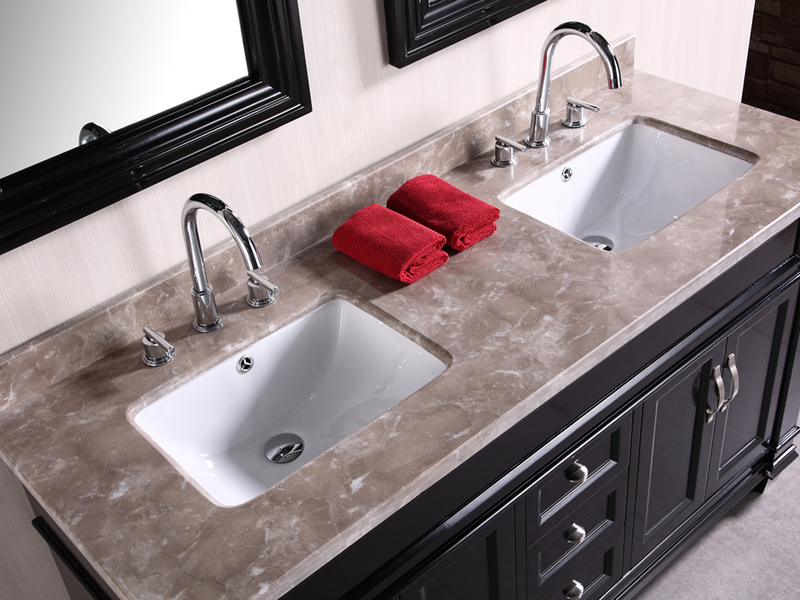 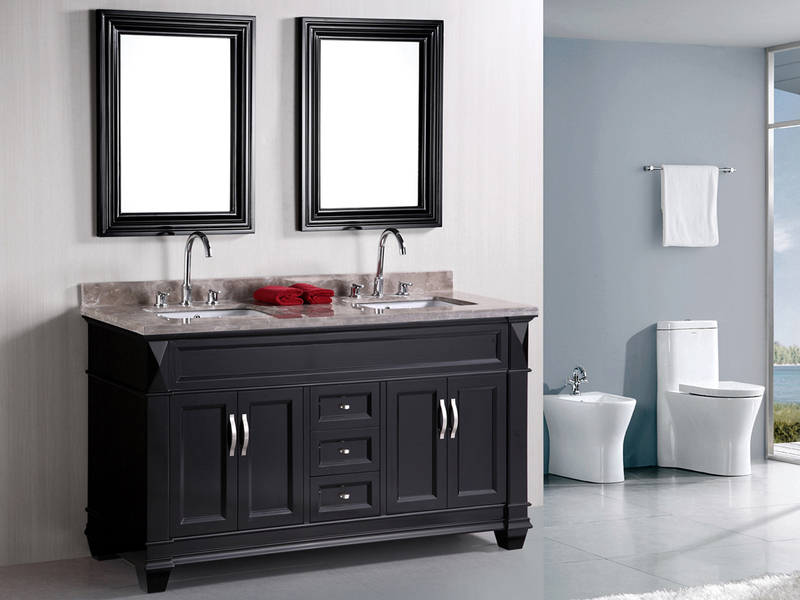 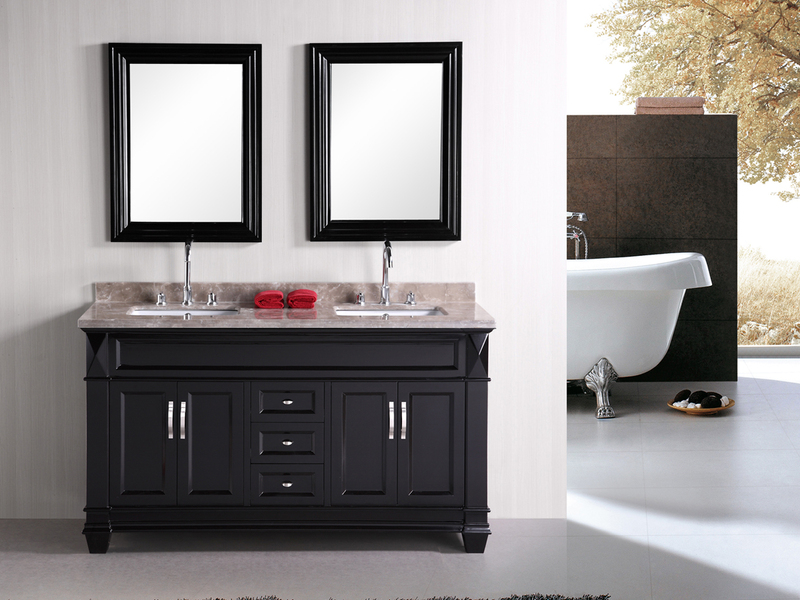 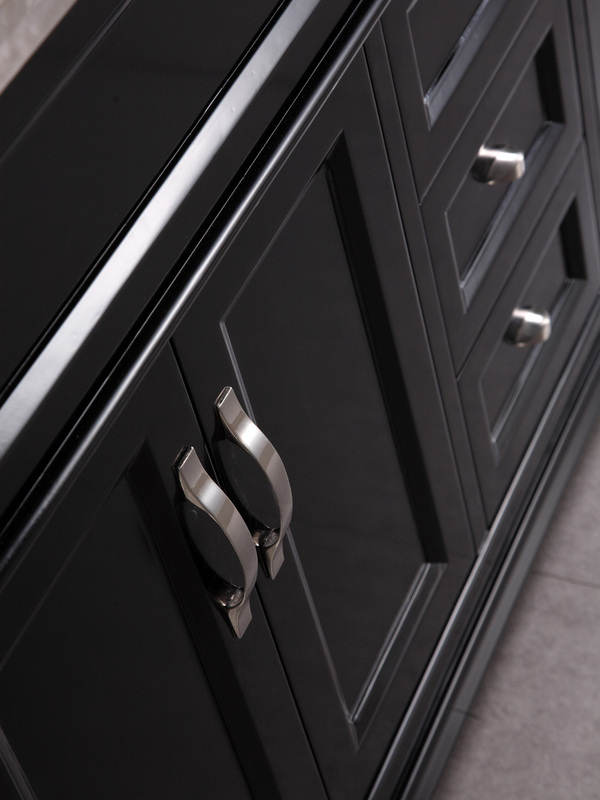 The 60" Hudson Double Vanity bridges the style gap between traditional and modern vanities with its clean lines and elegantly beveled surfaces. 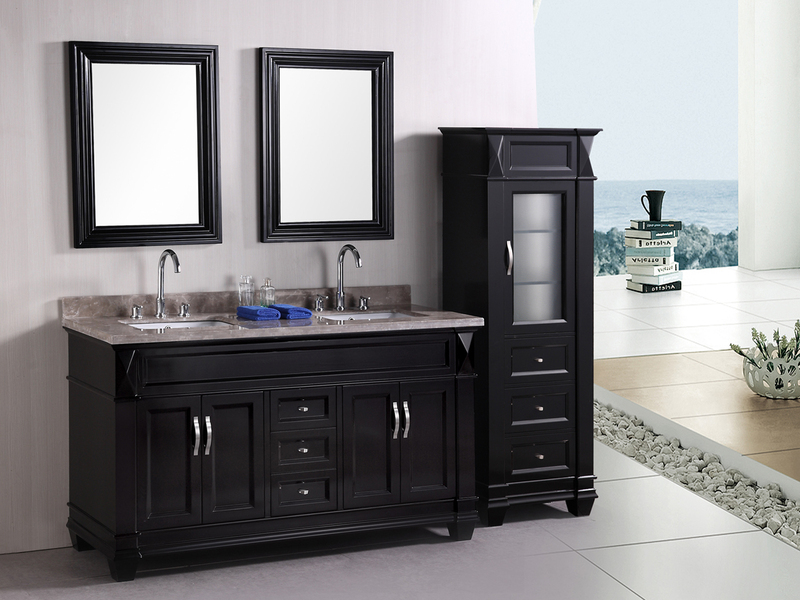 The vanity is sturdily built from solid oak, meaning that warping and cracking are of no concern for owners of this vanity. 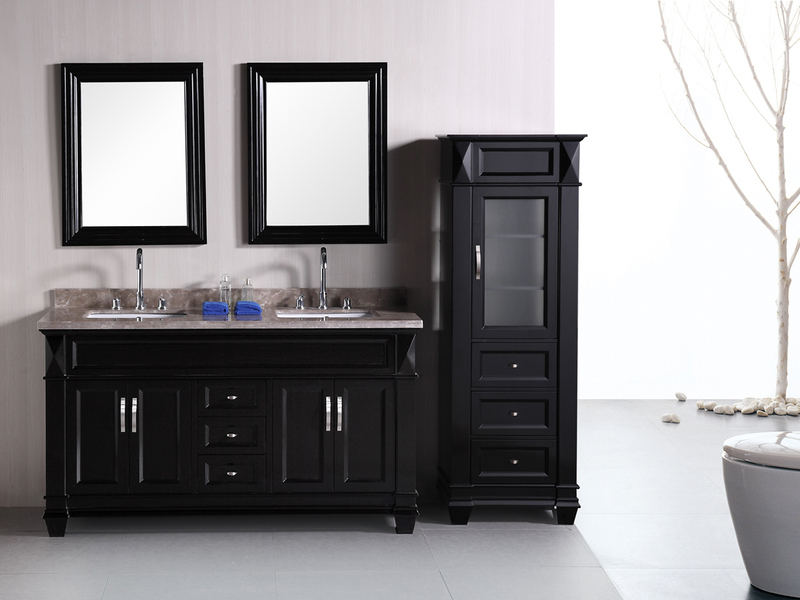 Three drawers and two double-door cabinets give this vanity storage space for items such as toiletries, grooming supplies, cleaning supplies and hand towels. 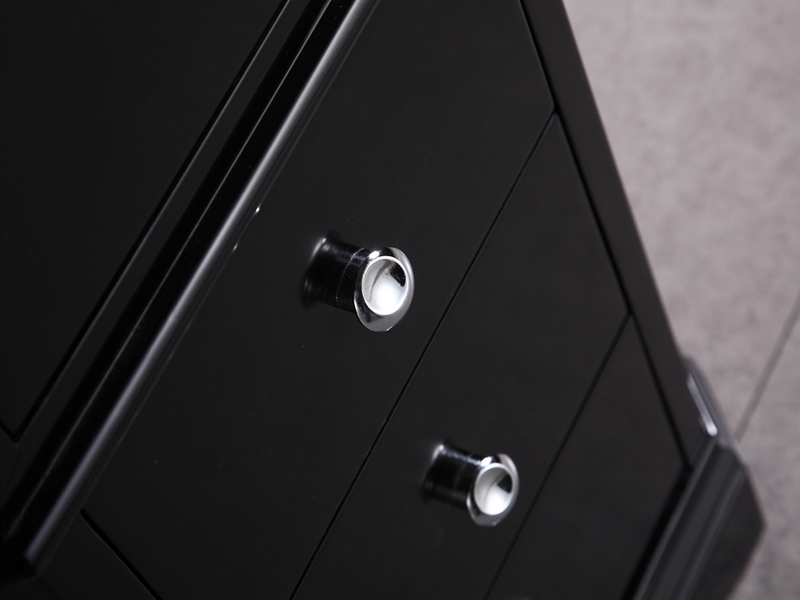 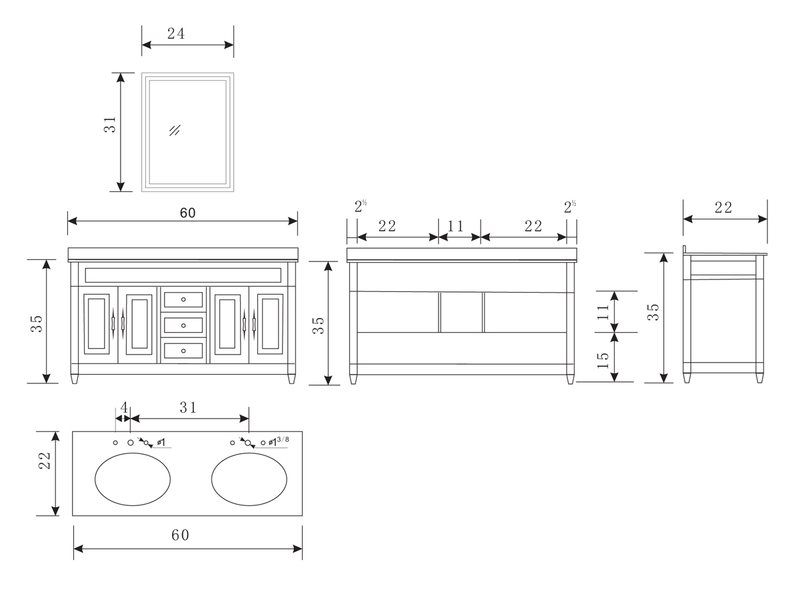 For linens, an optional matching side cabinet is available in the drop-down menu.